William Arundell is on the trail of a killer. Special agent for an arcane branch of the English government, his latest assignment has led him to a remote Highland castle and the undeniably magnetic lady who rules there. Yet as lies begin to unravel and a dark threat gathers, William finds himself drawn deeper and deeper into the mystery of the Highlands . . . and the woman he can neither trust nor deny. 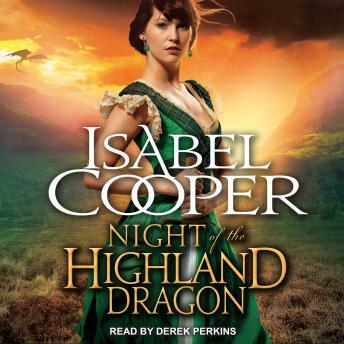 He prays she isn't the murderer; he never dreamed she'd be a dragon.